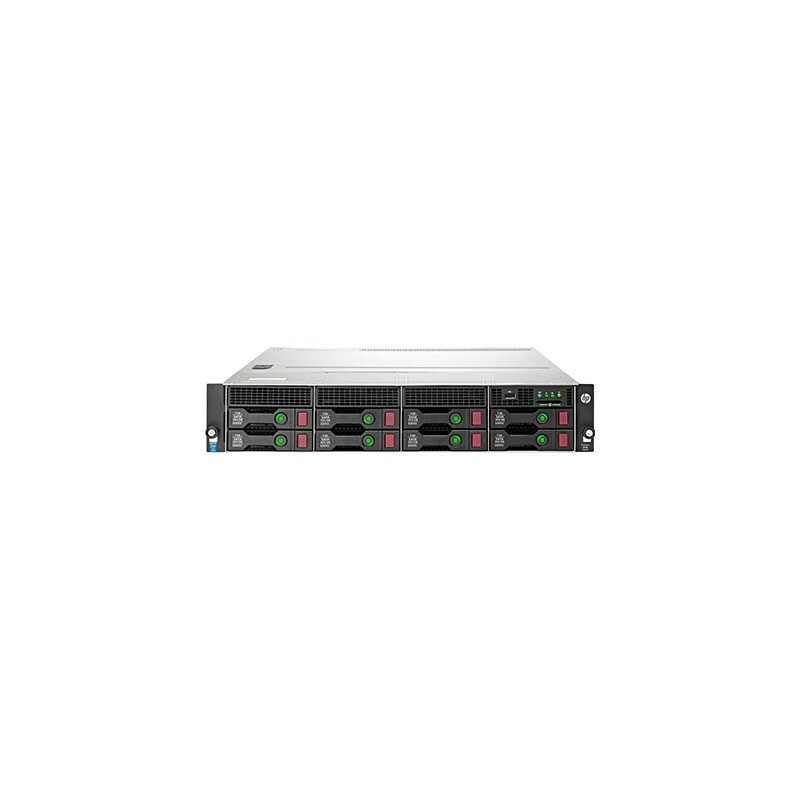 The HP ProLiant DL80 Gen9 Server provides ample storage capacity with up to twelve (12) Large Form Factor (LFF) HP SmartDrives, delivering optimal performance, capacity, and reliability to meet various customer segments and workload requirements at the right economics. Up to six (6) PCIe 3.0 riser slots to support one single-wide GPU or networking cards offering increased IO bandwidth and seamless expandability. Comes standard with 2x1GbE and choice of HP FlexibleLOM to provide you flexibility of networking bandwidth and fabric so you can adapt to changing business needs. The HP ProLiant DL80 Gen9 Server supports up to two (2) Intel® Xeon® processor E5-2600 v3 processors offering improved performance and efficiency. HP SmartMemory has the built-in intelligence to improve performance, reduce downtime and energy costs resulting in up to 14% 1 better throughput performance and up to 37% lower power consumption with DDR4 memory. With HP ProLiant DL80 Gen9 Server, HP OneView provides converged management for automation simplicity across servers, storage and networking. Configure in Unified Extensible Firmware Interface (UEFI) boot mode, provision local and remote with Intelligent Provisioning and Scripting Toolkits or HP RESTful Interface Tool. Optimize firmware and driver updates and reduce downtime with HP Smart Update, consisting of HP SUM and SPP. Improved ambient temperature standard with ASHRAE A3 2 helps customers reduce cooling expense.